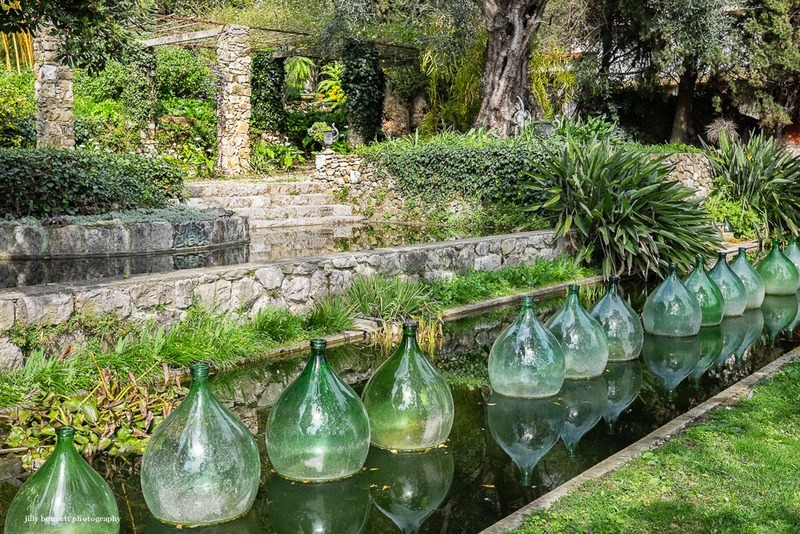 A row of old demi-johns that appear to float on the water at Le Clos du Peyronnet. Une rangée de vieilles dame-jeannes qui semblent flotter sur l'eau au Clos du Peyronnet. Quite an eye catching installation! Yay, you're back! Spring has arrived in Provence with green gardens and flowing water. Shrink those bottles a little bit and decant some bottles of fine Chateau-Neuf-du-Pape in them.